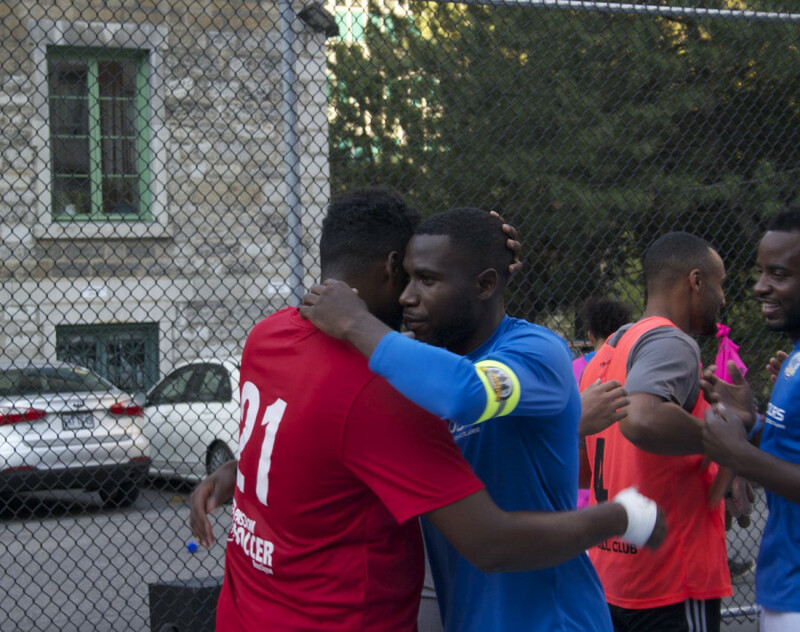 In preparation for the CONCACAF Futsal Club Championship, Sporting Outlaws—a futsal team based in Montreal—played a friendly at the Montreal Impact Mini Soccer Field in downtown Montreal on St-Alexandre St. Wednesday afternoon. 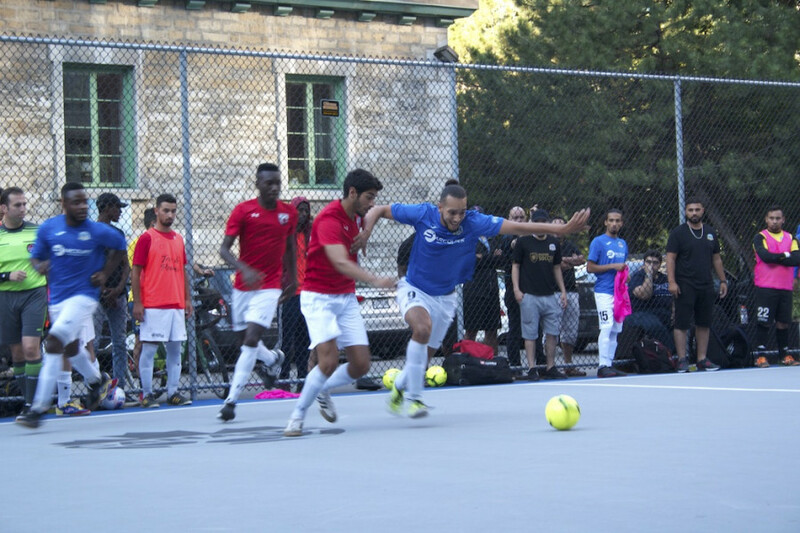 Around 200 people gathered around the outdoor concrete court built by the Montreal Impact and Major League Soccer to watch Sporting Outlaws play against fellow Première Ligue de Futsal du Québec team FC Grenadiers. The tournament organized by CONCACAF, the Confederation of North and Central American as well as the Caribbean, regroups the national champions from each of its countries. 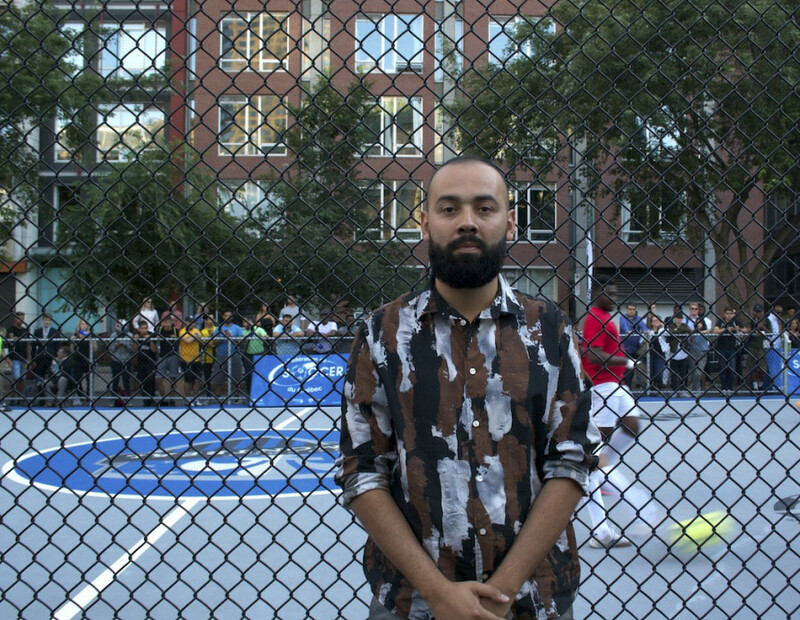 Futsal, unlike soccer, is played with five players on a smaller court and usually indoors. 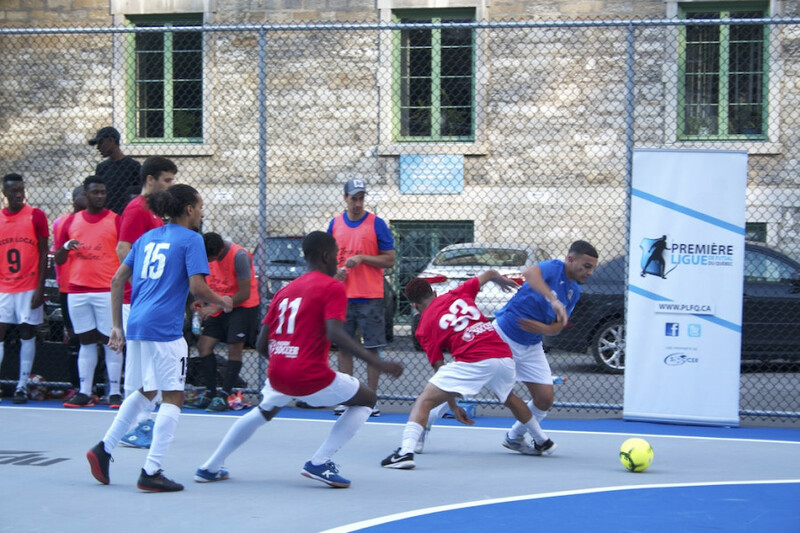 However, for the first time in Canadian history, a futsal game federated by the Canadian Soccer Association was played in the summer. Two weeks ago, Sporting Outlaws were handed an invitation by CONCACAF to participate in the competition as Canadian champions. What they did not have was all of the money necessary to fly over to Honduras, where the competition is held. The team then had to start a crowdfunding initiative to find the money that was needed. Last week, The Link reported that the Canadian Soccer Association and the Quebec Soccer Federation would help fund their trip in order to compete in the competition. One of the team’s needs is funds for players’ insurance, a first aid kit and spare money for the trip, which Benavides would like to settle before taking the plane next week. On the sporting side of things, Outlaws are at a disadvantage with their CONCACAF counterparts. As they are right in the middle of their futsal off-season, teams in Central America and the Caribbean are playing their seasons. The Montreal-based team will face on Grupo Line of Costa Rica, Habana of Cuba and Sidekicks of Mexico in Group B of the competition. “In Costa Rica, our opponents are at their 15th game this season, Cuba [are on their] eighth game of the season and Mexico [are on their] 12th game of the season. They are very active while we are at our first friendly game,” said Benavides. The team plans on having at least one more friendly game—two if possible—in a more intimate setup. The Sportxpo Centre in Laval, the home of the Première Ligue de Futsal du Québec’s Montreal division in which Sporting Outlaws play, seem to be Benavides’s preferred location. “Training together as a team is one thing but playing a game against an opposition is different so it’s good for team before the championship to regain match intensity,” said Michaud about the game. 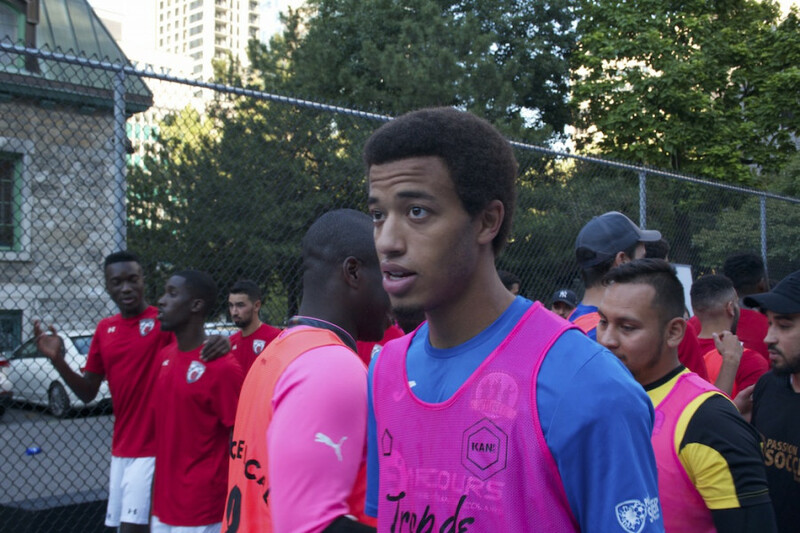 The team also has plans following their return from Honduras, the team has started to work on a project with current Montreal Impact defender Hassoun Camara, who was at the event. The Outlaws also admit that they would be open to a partnership with the Impact. Sporting Outlaws welcomed a new player to its ranks last week as Bila Dicko-Raynauld, captain of rival PLFQ team Lévis-Est in the Quebec City region, has joined the team on emergency loan. The team saw Dicko-Raynauld in the PLFQ finals where Outlaws beat Lévis-Est and asked him to join to fill in for injured players. When he got the call from Outlaws staff he jumped on the occasion. “Of course I would’ve liked to go [to Honduras] with my teammates but when I explained to my boys in Quebec City that Outlaws asked me to join, they told me: ‘Go, enjoy the experience. We’ll try to get there in the next few years.’ I couldn’t say no,” he said. It wasn’t all that easy for Dicko-Raynauld to join the futsal adventure. The 23 year-old who plays U Sports soccer for the Université Laval Rouge et Or, had to explain to his coach that he would miss a part of the team’s pre-season to fly to Honduras and help out the Outlaws. The player will join the Rouge et Or preparation camp Monday, but will leave early to join the Outlaws before they leave for Honduras. Sporting Outlaws start their run in the 2017 CONCACAF Futsal Club Championship on Aug. 21, where they will play Grupo Line Futsal of Costa Rica at Universidad Pedagogica in Tegucigalpa, Honduras.